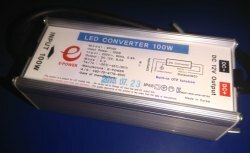 EPower LED Driver.We are dealers,supplier,distributors in Bangalore for EPowersmps products in India.Mean well has not only SMPS they are manufacturing LED driver ,LED SMPS, power supply, inverters, DC-DC converters, AC-DC converters,switch mode power supply and supplying Mean well all over India. Our major customers are presented in all over India. Bangalore is a vast market for SMPS and Epower LED drivers since its a industrial and building automation oriented industries situated and we have good support and compliments from Karnataka customers for mean well. Even we have more than 10 dealers in Bangalore apart from customer for mean well smps and LED Drivers. 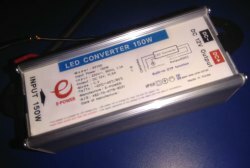 Epower LED drivers & SMPS we are coveringin following cities like Epowersmps Chennai, Madurai,LED smpsCoimbatore, Pondicherry,Epowerin Bangalore,mangalore,udupi,led smps Hubli, Hyderabad, Vizag, Epower LED driver Mumbai, Biwadi, Epowersmps Delhi, Epower LED smps Pune, Noida, Epower Haryana, Faridabad, Ghaziabad, Epower Gujarat, Baddi, Epower Tamilnadu,Indore, Surat, Led smps Ahmedabad,Vadodara, Vapi, Maharashtra, EpowerChennai,kochi, trivandrum, Kolkata, Westbengal, Udaipur, Jaipur, Punjab,Silvassa, Ludhiana, LED SMPS Gurgaon,Kashmir, Goa, Jharkhand, Odisha, Chatisgarh, Jalandhar, Uttarpradesh, Andhrapradesh etc. E-POWER is a brand origin from KOREA, they are come out with their innovative thinking and their strong R&D base they make ULTRA compact size led drivers, Based on the accumulation of knowledge and technological capabilities, the company has expanded its business field across the world, accordance with the rapidly growing LED market with the effort to continuously make technological developments. Our firm specializes in offering an excellent collection of LED SMPS. 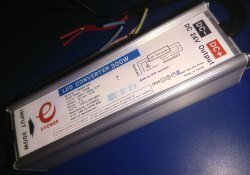 It used for most of the LED applications with variety of wattage, voltages, current etc. This SMPS is manufactured using topmost grade raw-material and sophisticated technology in conformity with the certified industry norms. In order to deliver the defect free range at clients' end, this SMPS is checked against the various parameters of quality before supply set by industry. We offer this SMPS at most affordable rate. 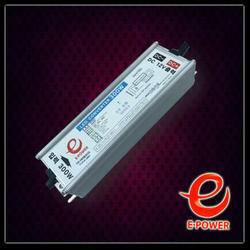 We are dealing wide range of E-Power products like Water Proof Led Driver from all over India.